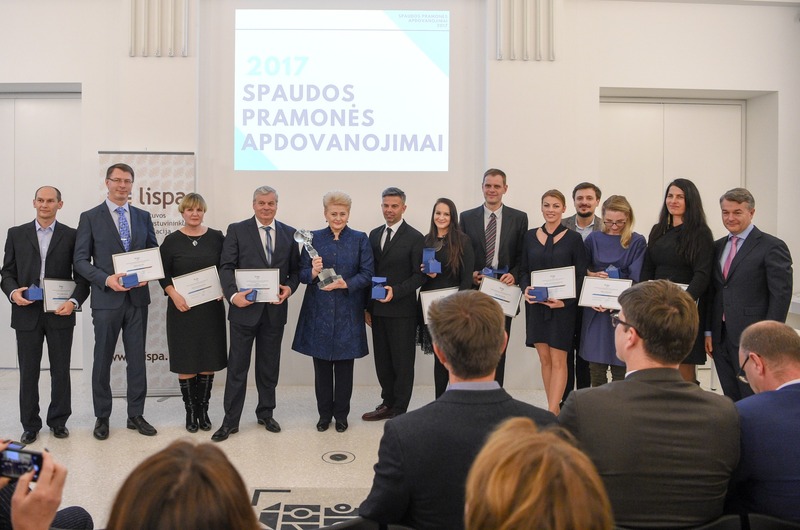 On the 8th of November the Lithuanian Printing Industry Awards took place at the Centre for Civil Education in the Office of the President of the Republic of Lithuania. The printing house “BALTO print” was awarded for the “PRODUCT OF THE YEAR” during the solemnity. 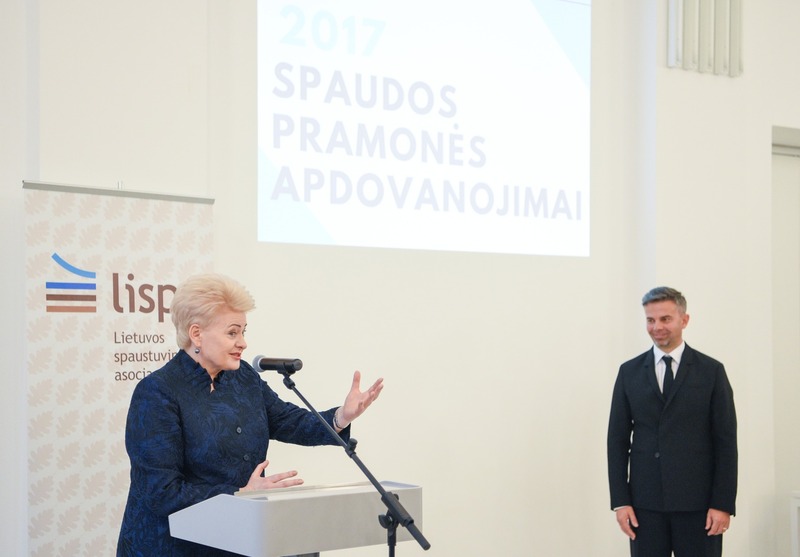 The tenth celebration was a special event, because the most important nomination “Printing Atlantis” (“Spaudos Atlantas”) was awarded to the President of the Republic of Lithuania Dalia Grybauskaitė. 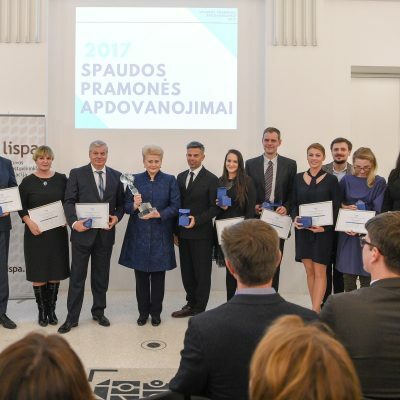 The honourable award for significant merits to the fostering of printed word and attention to the printing industry was presented by Artūras Karosas, the Chairman of the Council of the Association of Lithuanian Printing Industries and the CEO of BALTO Group. 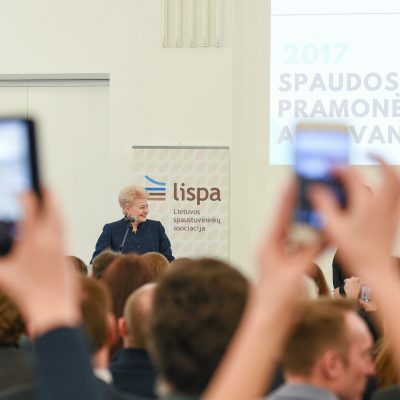 The nomination was awarded for the campaign “Christmas of Books”, initiated by the President and being held for 7 years in a row, thus significantly contributing to the promotion and dissemination of Lithuanian Printing Industry, enhancing the idea of a book and the printed word as a value in the society and everyone’s heart.